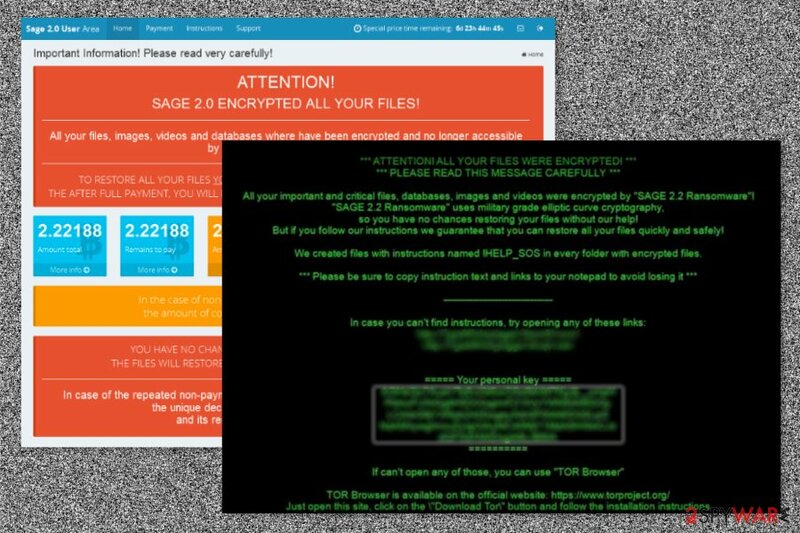 Sage 2.2 ransomware uses sophisticated techniques to infiltrate computers and hide from its victims. Use Reimage to determine whether your system is infected and prevent the loss of your files. Sage 2.2 ransomware is a new version of crypto-virus which hails from the same family of malware as Sage ransomware and Sage 2.0. After infecting the system, the virus encodes files and adds .sage file extensions to their names. Afterward, it plays an audio message, deletes Volume Shadow Copies, drops a ransom note !HELP_SOS.hta and changes the desktop wallpaper with !HELP_SOS.bmp image. The virus demonstrated outstanding activity in October 2017. First signs of Sage 2.2 ransomware were spotted in mid-January this year. One of the peculiarities of this malware was that it delivered the malicious infection in the double zipped .zip folder which is named as [random numbers]_ACH20022017.zip or min1_201720103191.58778.zip. This .zip folder contains either a .doc or .js file. Beware that some emails even do not present any message content. However, some of them might be disguised as notifications sent from Central Security Treatment Organization. The malware works on a basic model – it sends UDP (User Datagram Protocols) to thousands of IP addresses. 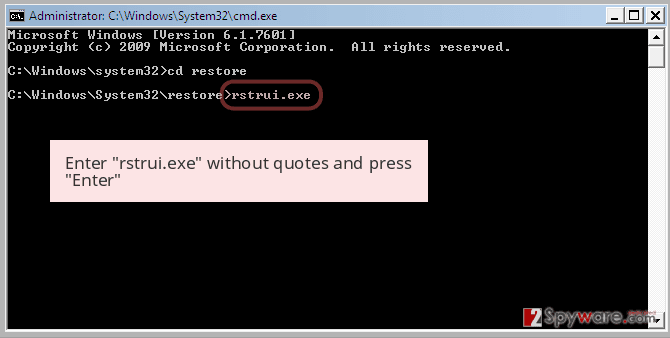 After extracting the content, the malware would execute via spam1.exe. It might also hide under the disguise of startup.php. Later on, Sage 2.2 ransomware downloads its main payload to %Temp% folder and replicates itself to C:\Users\[loginname]\AppData\Roaming. Such behavior triggers the UAC messages. 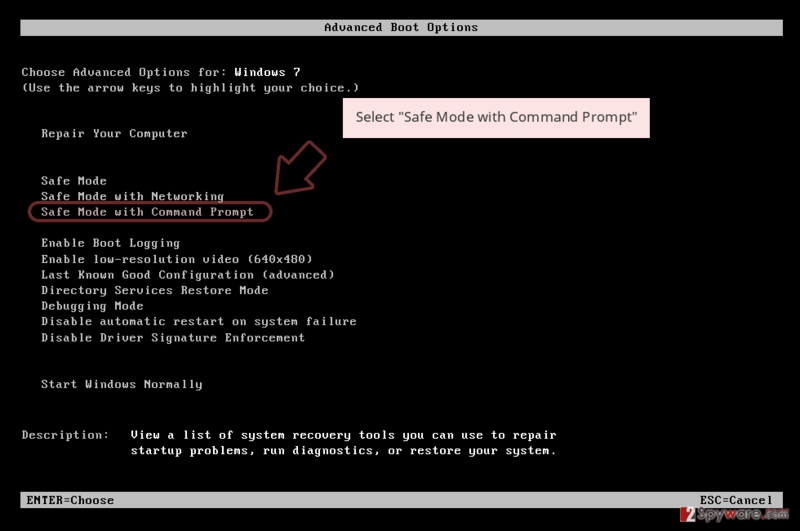 Luckily, you might interfere with its operation by canceling this command. 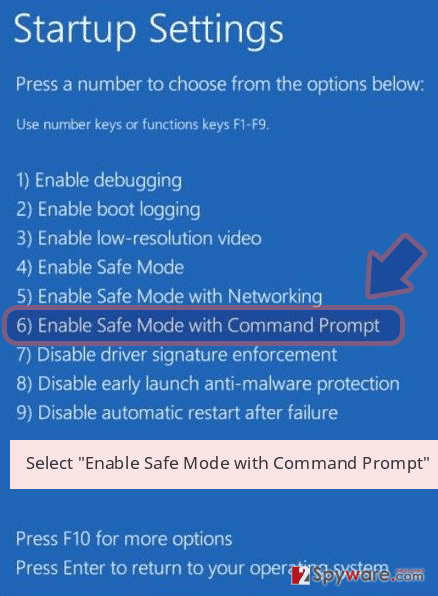 The UAC message pretends to be initiated by Microsoft Corporation. The only hint referring to the virus is the odd location of AppData folder. As soon as you notice any of these symptoms, remove Sage 2.2 right away. The developers of Sage 2.2 virus do not seem to waste lots of their time while renewing this ransomware – the most of it is built using an old code of Cerber. But, having in mind its popularity, we should all think about a proper security software and knowledge. Otherwise, malware can infect your computer system without any sign as it spreads under different names. Attention! Attention! This is not a test! All your documents, data bases, and other important files were encrypted, and Windows can not restore them without special software. User action is required as soon as possible to recover the files. The links provided in the ransom messages lead to a sophisticated payment website that consists of Payment, Instructions, Test decryption, and Support pages. If, unfortunately, this threat has already descended upon you, follow Sage 2.2 ransomware removal steps. Launch Reimage to speed up the process. Sage 2.2 virus is delivered in the form of a trojan. As it is common for this type of threats, the malware alarms victims to pay the ransom within the specified amount of time. Needless to say, that these files are said to be deleted after the expiration. Soon afterward, Sage 2.0 was released. It demanded over 2 000 USD for the decryption of files. Data recovery instructions reveal that the developers are trying their best to scare users to comply with the demands. That's why they emphasize that there is no other solution to retrieve the files. On October 13th, researchers spotted an increased number of complaints from computer users affected by Sage 2.2 ransomware virus. It appears that the BlankSlate malspam campaign stopped distributing Locky ransomware and started pushing the 2.2 version of Sage ransomware instead. The so-called BlankSlate attacks have enormous reach, and there is no surprise why so many computer users received deceptive emails containing the virus. Initial analysis of these fraudulent emails shows that each of them contains a .ZIP attachment entitled with a random set of digits. The new version demands 0.17720 BTC (approximately $1000) as a ransom. The provided ransom price is valid for 7 days. After 7 days of non-payment, it doubles. Experts from Dieviren.de do not recommend paying the ransom since there are no victims who confirmed that crooks actually recover the data after receiving the payment. The malware preys on new victims through spam messages. Bear in mind that ransomware often disguises under fake invoice and other official documents. Do not rush opening the attachments as you will need to deal with the termination of such threat. Beware that Cerber distributors have shifted to spreading Sage 2.2 malware, so they might use the old tricks to boost up the infection rate. In the end of 2016, Cerber was spreading with the assistance of RIG exploit kit and corrupted Adobe Flash Player attachments. Also, it was revealed that Sage 2.2 might disguise as an Adobe Service Manager as well. Besides, it is also known that this threat is able to delete shadow volume copies. Thus, it is of key importance not only to protect your system with an anti-malware program but stay vigilant while browsing online and save backups of the most important data. When it comes to a file-encrypting malware, you should save every minute if possible. For that reason, start Sage 2.2 removal immediately. Install an anti-spyware program, e.g. Reimage or Plumbytes Anti-MalwareMalwarebytes Malwarebytes, eradicate the malware completely. 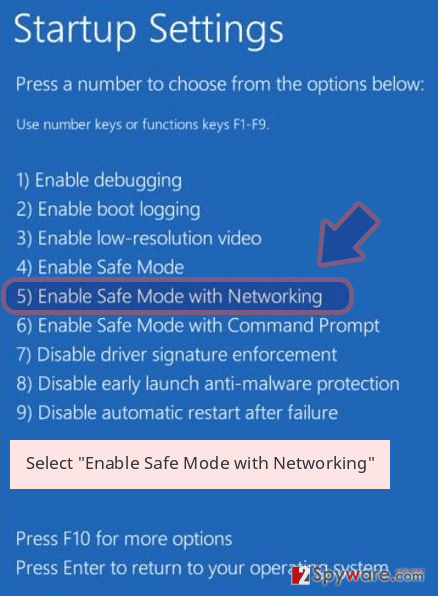 If you are having difficulties eliminating the threat due to the paralysis of the system, enter Safe Mode with Networking. The following instructions will show how to launch it. Then, you will be able to remove Sage 2.2 virus. Keep in mind that the software does not decrypt the files. For that, you will need to look for alternative solutions. A few are presented below. 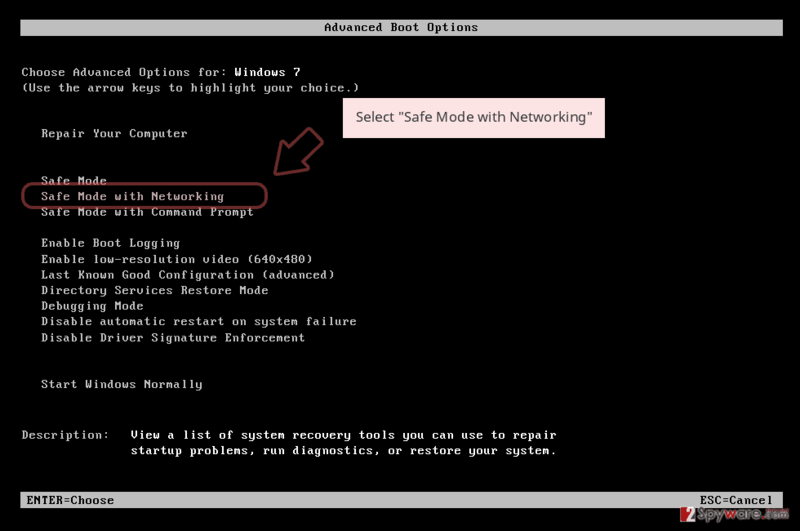 To remove Sage 2.2 from Windows, reboot your computer to Safe Mode with Networking first. In this mode you will disable your ransomware. Log in to your infected account and start the browser. Download Reimage or other legitimate anti-spyware program. Update it before a full system scan and remove malicious files that belong to your ransomware and complete Sage 2.2 removal. 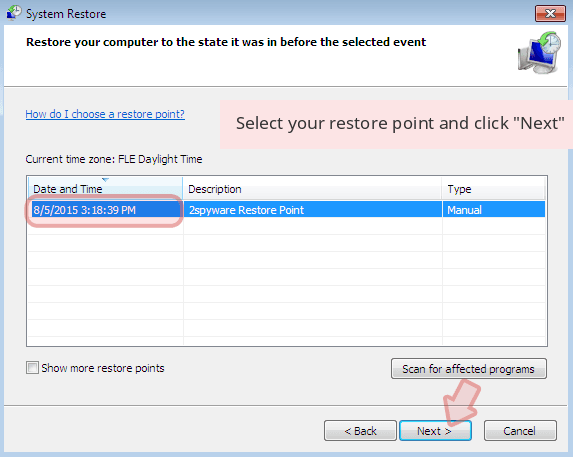 When a new window shows up, click Next and select your restore point that is prior the infiltration of Sage 2.2. After doing that, click Next. 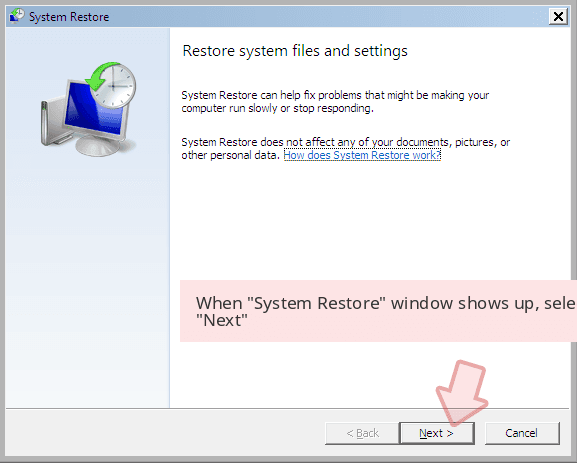 Once you restore your system to a previous date, download and scan your computer with Reimage and make sure that Sage 2.2 removal is performed successfully. Guide which is presented above is supposed to help you remove Sage 2.2 from your computer. To recover your encrypted files, we recommend using a detailed guide prepared by 2-spyware.com security experts. This app comes in handy when locating damaged files. Though there is no 100% guarantee that the program will recover all files, you might still give it a try. Follow the steps to retrieve the previously automatically saved copy of your file. Though this method takes time, but you might succeed in recovering some of the files. At the moment, there is no LEGITIMATE Sage 2.2 decryptor for files' recovery. However, make sure you do NOT think about purchasing the one that belongs to the developers of this malware. It can be just another scam used to extort people's money. ^ Michael Mimoso. Sage and Satan Ransomware, Double Trouble. Thread Post. The first stop for security news. ^ Sage 2.2 ransomware. Virus Total. 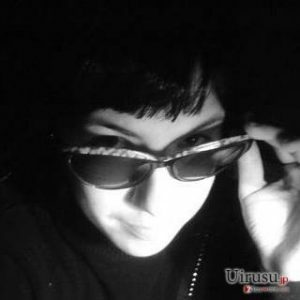 Analysis of suspicious files and URLs. ^ Larry Loeb. Sage Ransomware Levels Up. Security Intelligence. Analysis and Insight for Information Security Professionals. ^ DieViren. Dieviren. Malware Removal Guidance, Security Tips. ^ Jérôme Segura. RIG exploit kit takes on large malvertising campaign. Malwarebytes Labs. Official Malwarebytes Security Blog. ^ Richi Jennings. Just say NO to Adobe Flash Player -- emergency patch vs. Cerber ransomware. ComputerWorld. It news, careers, bsuiness technology, reviews. Sage 2.2 ransomware vírus - ez micsoda? Kas ir Sage 2.2 izspiedējvīruss? This entry was posted on 2017-10-23 at 11:46 and is filed under Ransomware, Viruses. You can quickly scan the QR code with your mobile device and have Sage 2.2 ransomware virus manual removal instructions right in your pocket. How did you remove Sage 2.2 virus?